CAPE CANAVERAL, Fla. -- NASA's Gravity Recovery And Interior Laboratory (GRAIL) mission to study the moon is in final launch preparations for a scheduled Sept. 8 launch from Cape Canaveral Air Force Station in Florida. "Yesterday's final encapsulation of the spacecraft is an important mission milestone," said David Lehman, GRAIL project manager for NASA's Jet Propulsion Laboratory in Pasadena, Calif. "Our two spacecraft are now sitting comfortably inside the payload fairing which will protect them during ascent. Next time the GRAIL twins will see the light of day, they will be about 95 miles up and accelerating." The spacecraft twins, GRAIL-A and GRAIL-B, will fly aboard a Delta II rocket launched from Florida. The twins' circuitous route to lunar orbit will take 3.5 months and cover approximately 2.6 million miles (4.2 million kilometers) for GRAIL-A, and 2.7 million miles (4.3 million kilometers) for GRAIL-B. In lunar orbit, the spacecraft will transmit radio signals precisely defining the distance between them. Regional gravitational differences on the moon are expected to expand and contract that distance. 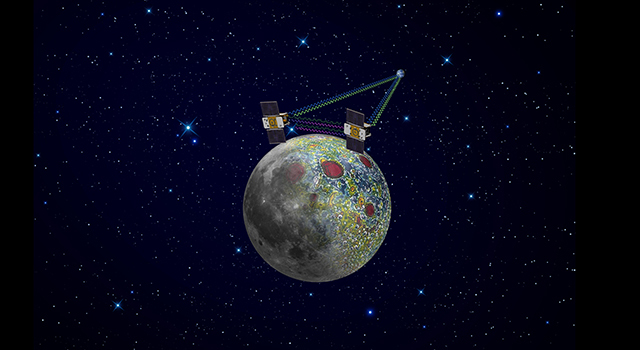 GRAIL scientists will use these accurate measurements to define the moon's gravity field. 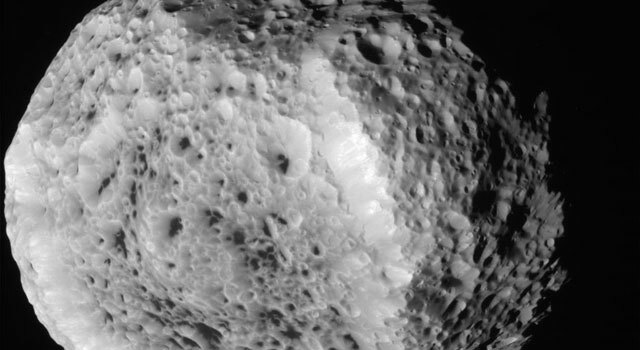 The data will allow mission scientists to understand what goes on below the surface of our natural satellite. GRAIL's launch period opens Sept. 8 and extends through Oct. 19. On each day, there are two separate launch opportunities separated by approximately 39 minutes. On Sept. 8, the first launch opportunity is 8:37 a.m. EDT (5:37 a.m. PDT); the second is 9:16 a.m. EDT (6:16 a.m. PDT). NASA's Jet Propulsion Laboratory, Pasadena, Calif., manages the GRAIL mission. The Massachusetts Institute of Technology, Cambridge, is home to the mission's principal investigator, Maria Zuber. The GRAIL mission is part of the Discovery Program managed at NASA's Marshall Space Flight Center in Huntsville, Ala. Lockheed Martin Space Systems, Denver, built the spacecraft. Launch management for the mission is the responsibility of NASA's Launch Services Program at the Kennedy Space Center in Florida. JPL is a division of the California Institute of Technology in Pasadena. 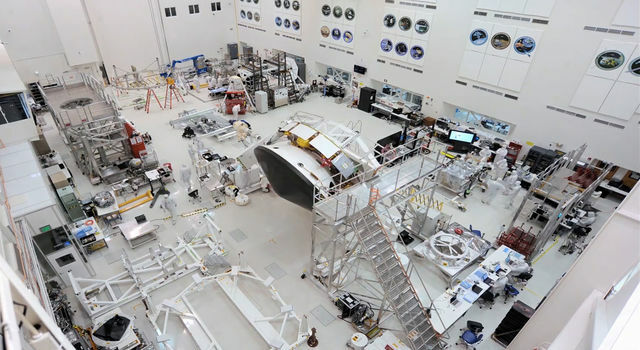 For extensive pre-launch and launch day coverage of the GRAIL spacecraft, visit: http://www.nasa.gov . A prelaunch webcast for the mission will be streamed at noon on Wednesday, Sept. 7. Live countdown coverage through NASA's Launch Blog begins at 6:30 a.m. EDT (3:30 am PDT) on Sept. 8. Coverage features live updates as countdown milestones occur and streaming video clips highlighting launch preparations and liftoff. To view the webcast and the blog or to learn more about the GRAIL mission, visit: http://www.nasa.gov/grail and http://grail.nasa.gov . 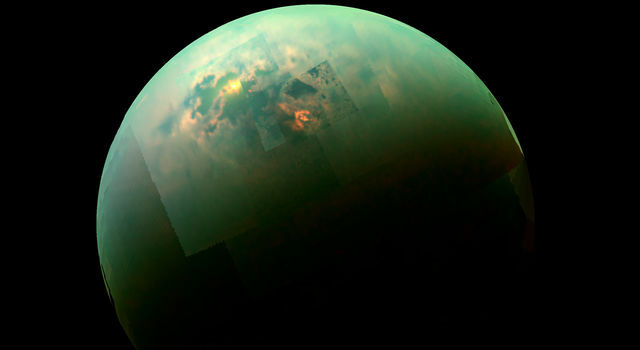 The launch will also be streamed live, with a chat available, on http://www.ustream.tv/nasajpl2 . To view live interviews with lunar scientists from noon to 5 p.m. EDT (2 p.m. PDT) on Sept. 8 and 9, visit: http://www.livestream.com/grail .